Extensive leadership skills in running a business? Are you skilled in coordinating, implementing and monitoring Professional Learning and Development? Confident communicator in Te Reo Māori? Passionate about Māori achieving as Māori? Lead and implement the NKAI PLD Strategy and Learning Progressions Project to ensure that our students are ancestrally driven and future focused. Established in 2007, Ngā Kura ā Iwi o Aotearoa Inc. (NKAI) is a movement that has evolved due to the commitment and sacrifice of kaumātua, community leaders, whānau, kura, teachers and students. NKAI is a constituted body that represents and supports 32 tribal schools across New Zealand and growing. A newly created and highly innovative position has been created to work in conjunction with Kura and their iwi, leading the development, advancement and progression of key initiatives and strategies. Pono: We are trustworthy and reliable. Whakaaro Nui: We respect each other and what we bring. Angitu: We focus on quality by delivering detail on time. Wānanga: We honestly challenge the idea to get the best results for our kaupapa. Hāpai Tukuihotanga (Reo me ngā Tikanga): We uphold our culturacy. Advocating on a national and international level for the rights and aspirations of our iwi, whānau, kura, staff and students. Establishing and nurturing partnerships with tribal entities, government agencies and the private sector to support our kaupapa and strategic priorities. Reporting to the Pou Kōkiri (CEO), you will be tasked with two key initiatives that is aligned to NKAI Strategic Plan. You will lead and manage the implementation of NKAI PLD initiatives. You will coordinate the development and implementation of the NKAI Learning Progressions Framework. Working to often tight timeframes, you will be able to effectively coordinate projects that deliver quality outcomes. You will have a solid track record in leading initiatives and achieving quality outcomes. Fluent in Te Reo Maori me ōna Tikanga. A tertiary qualification with a significant component in Education or other relevant disciplines is preferred. Understanding of education systems in New Zealand, and relevant education legislation. Understanding of iwi partnerships, kaupapa Māori education. Deep understanding of the Professional Learning and Development environment nationally including MOE processes. Knowledge of, and experience in working with both qualitative and quantitative data and analysis. Knowledge of how school principals operate and their responsibilities to meeting Ministry of Education requirements. Knowledge of NKAI network and how the organisation works. Well established iwi links and networks. Experience, incorporating project documentation, designing and delivering programmes projects and initiatives. Understanding of best practice for PLD in New Zealand. Experience in framework set up, implementation and continuous improvement. There is scope to continue to grow and develop within this position, so your self-motivation, drive and ability to pick up new tasks quickly will be appreciated. Based from your home office, you will be required to travel from time to time and regularly report to the Pou Kōkiri (CEO) and other the members of your team based across Aotearoa. This position is an opportunity to make a difference in Māori Medium Education across Aotearoa. You will be part of a movement committed to Tukuihotanga (cultural autonomy), Mātauranga Mana Motuhake (intellectual independence) and Whai Oranga (holistic wellbeing) for all members of NKAI. We believe that all Māori students can succeed as members of whānau, hapū and Iwi. Remuneration is banded to attract a senior skill set of applicant. 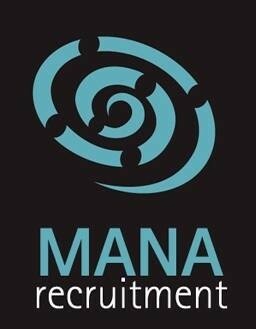 To express an interest on a strictly confidential basis please email your cover letter and current CV through to Heather Walker at MANA Recruitment at heather@manarecruitment.co.nz or if you have questions regarding the position, please call directly on (09) 632 1108. Applications close on Monday the 29th of April 2019 at 5.00pm. Remuneration is banded to attract a senior skill set of applicant. To express an interest on a strictly confidential basis please email your cover letter and current CV through to Heather Walker at MANA Recruitment at heather@manarecruitment.co.nz or if you have questions regarding the position, please call directly on (09) 632 1108. Applications close on Monday the 29th of April 2019 at 5.00pm. Job Categories: Education / Training. Job Types: Permanent. Job expires in 5 days.